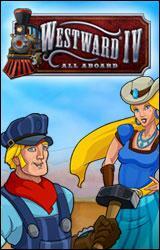 Ride the rails to fun and adventure with Westward IV: All Aboard, a thrilling sequel in the real-time strategy series! When the patriarchal owner of the Turner Railroad Company goes missing, his children, Anne and Henry, are called back to uncover the truth behind his disappearance. Upon their arrival, they discover that not only has nobody heard from their father in some time, but deliveries from the train station have stopped. Looking for answers, they discover the station in complete ruins and neither their father or uncle anywhere to be found. Help the Turner children find their father and expand the family railway to neighboring towns! 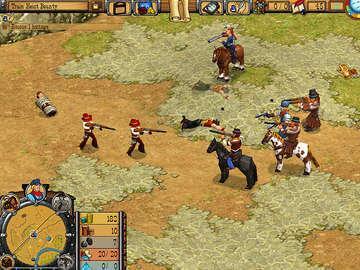 Protect the lines from gun-toting outlaws determined to stamp out any competition. 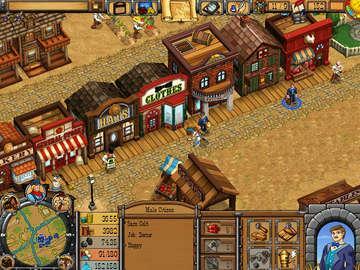 Rescue kidnapped citizens held for exorbitant ransoms, battle greedy bandits, and guide your town to fortune and prosperity! 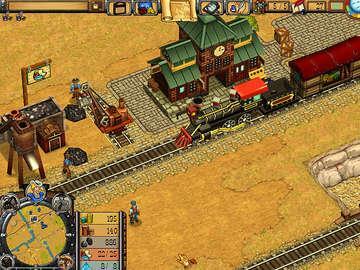 Play Westward IV: All Aboard free with the demo version today or download the full version and see why critics say, "you're in for what is one of the most charming strategy games to come along in a while".